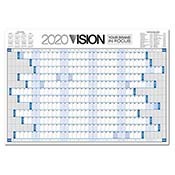 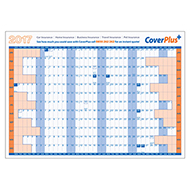 Wall planners are an extremely useful business tool, for the office and at home, complete with your branding and design! 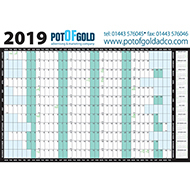 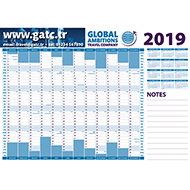 Promotional wall planners are essential and practical, perfect for a giveaway or corporate gift at conferences, marketing campaigns, tradeshows and exhibitions. 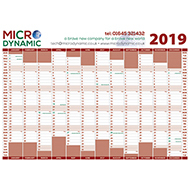 You can be sure your contact details and brand will firmly stick in their minds during every day of use. 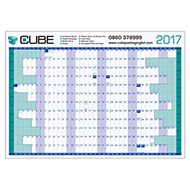 Choose from A1, A2 and A3, your colour and logo. 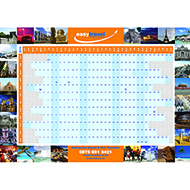 For more help on promotional items, contact 01245 382600, email sales@allwag.co.uk or chat live above!